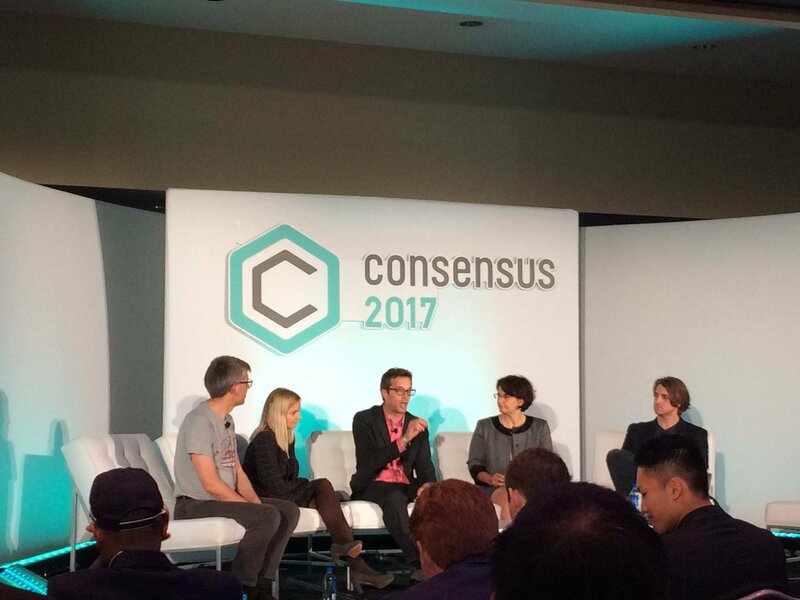 Curtains fell on Consensus 2017, the most highly-anticipated blockchain showcase, and Reply delegates matured a clearer view of possible future paths and ecosystem evolutions. 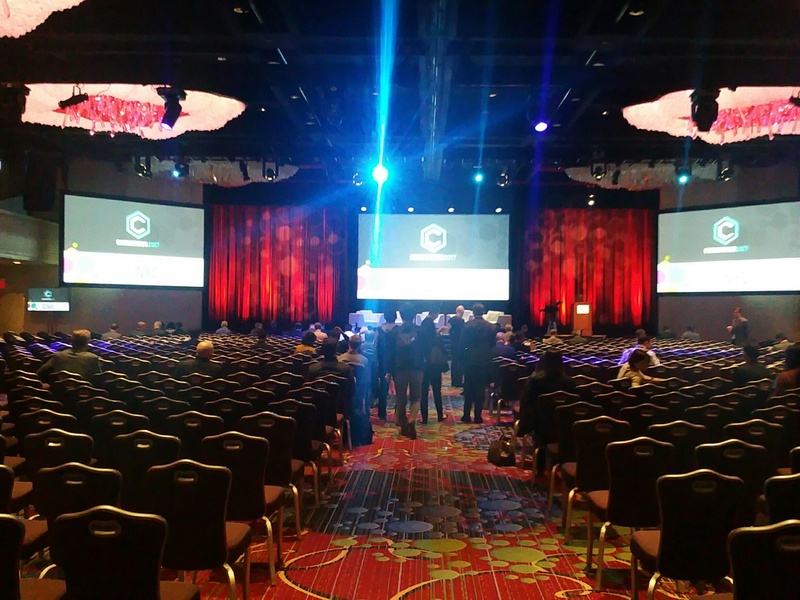 The event, held by Coindesk in New York from May 22 to 24, featured more than 100 speakers and 2000 attendees from big corporates, start-ups, VCs and institutions. As a starter, Coindesk presented an updated resume of their “Status of Blockchain”, which comprehensively reports about current market diffusion of major blockchain technologies – both public and private – and provided insights on Enterprise, Investors, and Government & Regulation perspectives. On the public side, the biggest evidences is the growing capitalization of protocols beyond Bitcoin, reducing its market cap below 50% of all cryptocurrencies, and fostering interoperability between different standards. Ethereum, backed up by wider enterprise support, does not seem to stop its rush as reference framework for hosting new decentralized applications: contributing to Ethereum transactions boost, initial coin offerings (ICOs) – an utterly new way to collect funds via cryptocurrency – are now rivalling Venture Capital funding. Leveraged by top IT vendors and B2B-oriented start-ups, permissioned fabrics gained traction towards big corporates, whose priority is experimenting with this new tech paradigm in a business and regulation-ready environment. Enterprise Ethereum Alliance and Hyperledger, whose members grows over 130, stand currently as the most active corporate consortia. During ‘Going Global’ opening panel, many speakers appointed interoperability and information symmetry as key challenge in global competition, and a desirable effect of blockchain widespread adoption. Main obstacles for broader collaborative relationships are siloed systems adopted even by large and worldwide spread organizations (Nial McCann, UNDP lead electoral advisor). This combines with the burden of protecting data, which generally falls to the organization themselves. This is particularly true for very sensitive information, such as medical records. Indeed, Healthcare-specific panel, collected positive insights even by institutions representatives: Debbie Bucci – lead IT Architect in the US Department of Health and Human Services – stated that policies are on the way for a more user-centric management of health records. Notably, this empower end-users, who should know both powers and risks of controlling data on their own. Notably, blockchain implications are likely to be wider than we can expect. For instance, think about widespread ecosystems of IoT devices that need to communicate in real time, exchange fast data transactions and even send micropayments. IOTA presented its brand new blockchain fabric, or Tangle, capable of processing unlimited transaction throughputs at quantum-resistant cryptography. 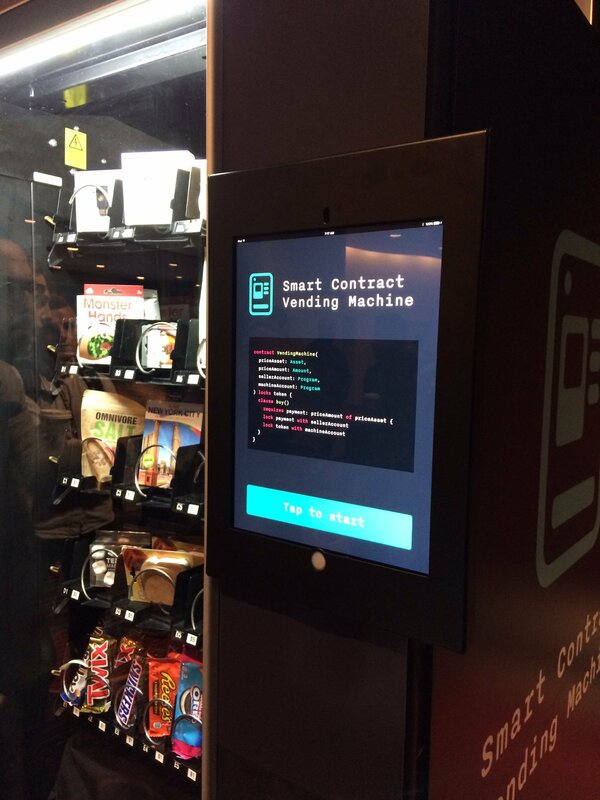 Standing in the corridors, an automatic vending machine sold sandwiches and chocolate bars via a smart contract triggered with ether cryptocurrency transactions. Indeed, blockchain networks promise to be a foundational layer for main exponential technologies – such as Internet of Things, Virtual Reality, and Artificial Intelligence – enabling convergence of innovation pushes in the rush for an automated and decentralized society. FleishmanHillard analyzed more than one billion conversations on Twitter and interviewed over 25 global technology leaders about the fads, fears and opportunities of tech trends such as: AI, AR, Edge Computing, Immersive Reality, Blockchain and Quantum Computing. The first experiment with Blockchain technology in the insurance sector is under way, thanks to the initiative led by ANIA (National Association of Insurance Companies), with the collaboration of Reply, CeTIF (Research Centre on Technology, Innovation and Financial Services) - Università Cattolica del Sacro Cuore in Milan and with the participation of IVASS (Institute for Insurance Supervision)on the Scientific Committee.